Victoria is a lucky baby,she got home these lovely presents from Babyshop.no that are waiting for her on her crib!! This Nighlight projector is from Chicco and you can get it HERE ( right now on sale 30% off). 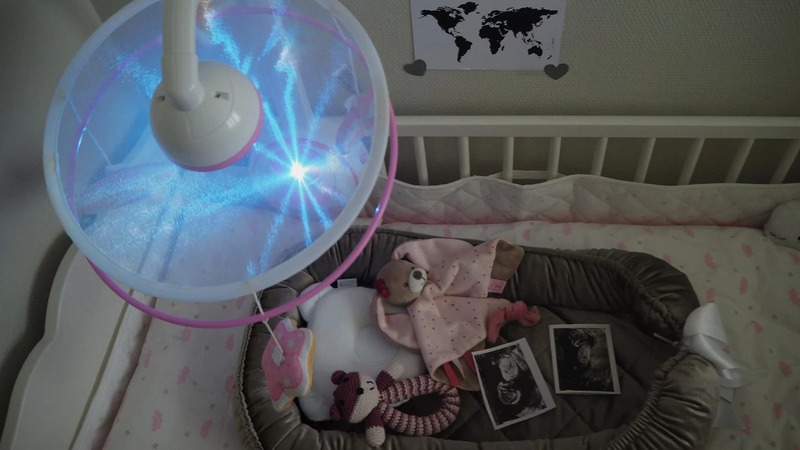 It includes a projector, hanging soft toys and a remote control, it is available in pink and blue and if you want to remove the arm section it becomes just a night light with projector. I think the design is lovely and you can play two different kind of soothing music that I am sure our baby girl will love. We also got a lovely poster where you can write info about your baby`s birth, such as weight, lenght, time and date of birth. You can get it HERE.